Zombies. They are everywhere. Your all about surviving day to day, stepping over your own people abandoning the facades of an old civilisation to survive in a world of the wrong and the strong. But no one asks that all important question… “What caused it?” Well, you just may get the answers others dare not ask in Dying Light. Dying Light is a 1st-person open world game, where you play the role of Kyle Crane, an undercover operative who attempts to infiltrate the quarantine zone, baring witness to the devastating implosion of civilisation when men become feral. 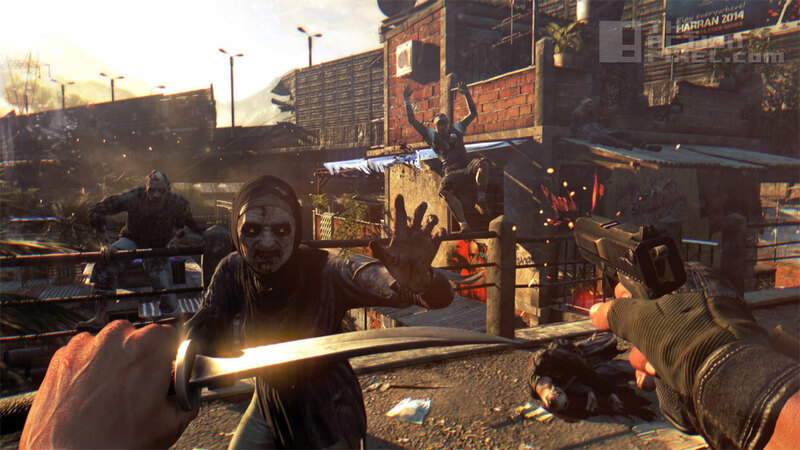 Dying Light is an action survival horror game presented in first-person perspective. The game is set in a vast and dangerous open world. During the day, you roam an urban environment devastated by a mysterious epidemic, scavenging for supplies and crafting weapons to help you defeat the hordes of mindless, flesh-hungry enemies the plague has created. At night, hunter becomes prey as the infected grow in strength and aggression – but even more lethal are the nocturnal, inhuman predators that leave their hives to feed. You will need to make use of all your skills and any available means to survive till dawn. Dying Light will be released on the PS4, Xbox One and PC in January 27th2015.